We've already spilled the beans on Ravelry about the fab location our party sponsors Pom Pom Quarterly have found for this year's after-party but we wanted to make sure that everyone had the details for getting their plans "just so" before ticket sales open on Tuesday. After much hard work scouting out various pubs and venues, the gals at PPQ came back with this amazing location that ticks all the boxes on our wish list: lovely space with room for everyone, good food and drink, and best of all - proximity to a major train station and tube so that it's easy for people to make their way home afterwards. The Parcel Yard is located just next to Platform 9 3/4 in King's Cross Station. 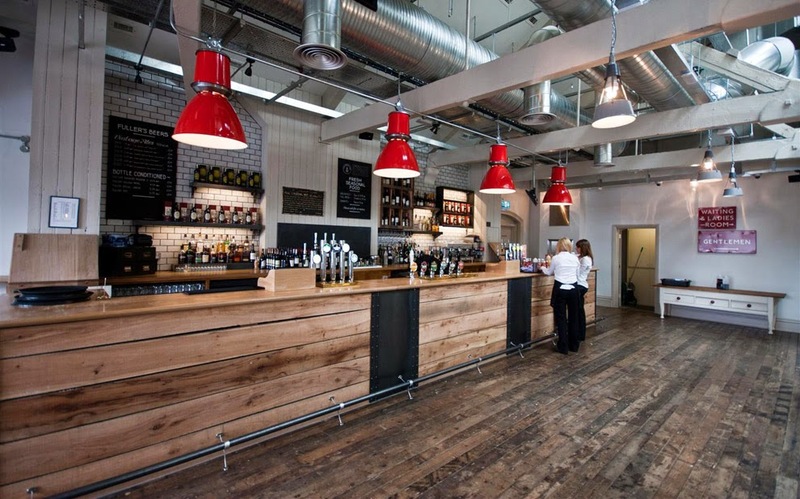 So how about a pub that's IN a train station? 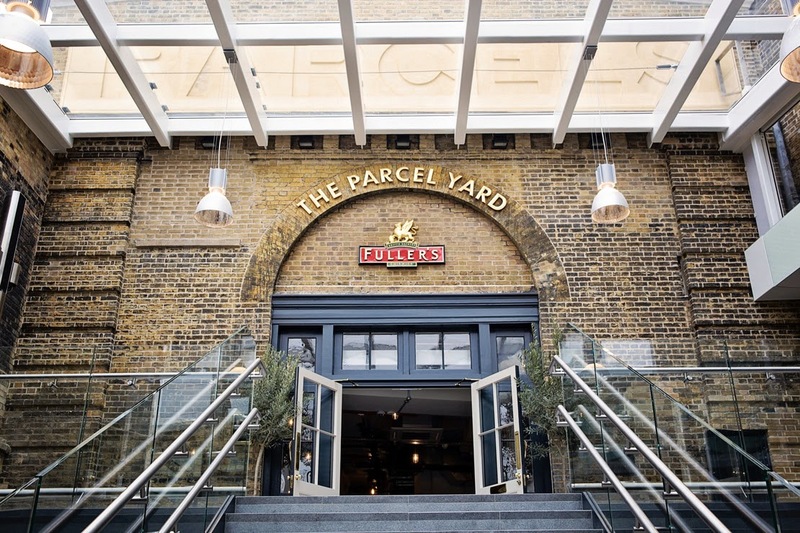 This year's after-party will be held in The Parcel Yard pub, located in iconic King's Cross Station. The pub has allocated the charming Waiting Room space to us and there will plenty of room for all of you! And did we mention that the food is amazing? We've been back twice already - for research purposes, of course. We hope you'll make plans to have a bite after a long day of yarn shopping. The lovely Waiting Room - don't worry, more than half of this room isn't visible in the photo, there's plenty of space for all of our Yarn Crawlers! Other details to know for the after-party: we're hoping to start it a little bit earlier this year so that it's easier for folks that need to plan trains. Groups will be aiming to arrive at the pub between 5 and 5:30pm, when we'll get started with announcements and the door prizes, and giveaways. You'll also have a chance to purchase raffle tickets for a very special gift basket filled with goodies from our sponsors. 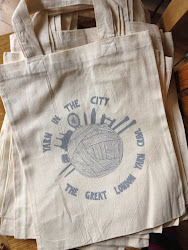 Our goal is to have all of the "official business" finished by 7pm and of course you're welcome to settle in for dinner and a knit and natter over the course of the evening. A reminder that tickets will go on sale on Tuesday, 8 July. We'll aim to get the ticketing going as close to 10am British Summer Time that we can. Looking forward to seeing you all! I attended amazing corporate events here and I ate more than I should. I had bread pudding, apple crisp, waffles and strawberries and cream. Do I need to go on? GLYC 2014 Routes: Get ready to plan your journey!